What Makes Wild Lilac Special? Wild Lilac CDC offers a competitive tuition, with internal scholarships available for families. We accept Oregon Department of Human Service childcare tuition reimbursements for many of our families. 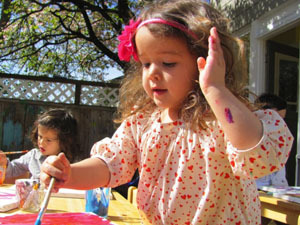 Our flexible tuition structure is what allows our families to be able to participate in Wild Lilac’s program. As a child care community serving children and families of diverse incomes, community support is fundamental to our sustainability. We are asking for your support in offering a comprehensive early childhood education program. 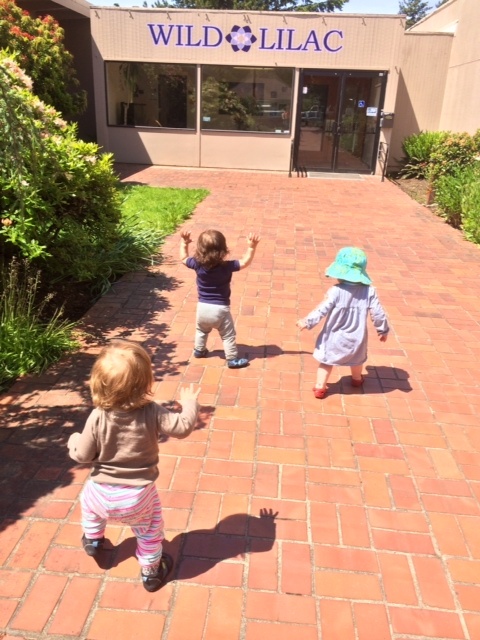 Your tax deductible donation will allow Wild Lilac CDC to provide financially accessible early childhood education programming to the Southeast Portland Community. $50 is enough for bottles of red and orange and yellow and green and blue and purple and brown and white paint, as well as 25 artist quality paint brushes, 100 sheets of water color paper, and 5 felt tip pens. $250 buys 3 baby dolls, 3 dump trucks, and 6 racecars. $500 pays for over 60 books so all classroom libraries can be packed with favorites such as: Good Night Moon, The Giving Tree, The Little Engine That Could, and Where the Wild Things Are. $1,500 buys a month of breakfast, lunch and snack for all of the Wild Lilac children. $10,000 pays for our garden, art, and music programs for an entire year!